Being aware of social injustice isn’t enough. 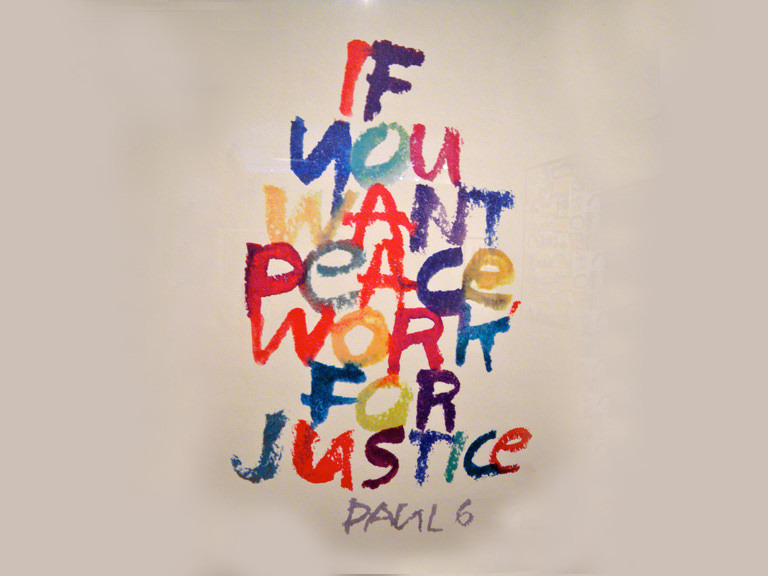 Taking action against injustice is the mission behind JustPeace, a social action group on campus that meets once a week in Cornerstone, the headquarters of Campus Ministry & Social Action. There, members of JustPeace discuss current issues and actionable ways to better the world, based on the principles of our founder, John Baptist de La Salle. JustPeace also sponsors training sessions for the violence prevention program, Green Dot. All students are welcome to join JustPeace. Sign up at the biannual activities and volunteer fair which happens at the start of each fall and spring semester, or contact the club directly at justpeace@manhattan.edu.